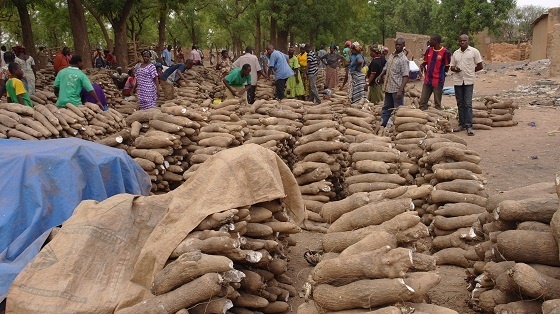 Nigeria grows plenty of yam. However, what we grow is not enough for to feed the nation's teeming population. Prices of yam, according to Bounce News' July market food price survey, shows that a tuber costs about 1,000 naira. Despite this, Nigeria wants to export the commodity to other countries just the way it exports crude oil. Some people are criticising the idea, arguing that the country should not export what it does not have enough to feed its citizens. Others argue that it does not make sense to export the raw commodity, instead Nigeria should add some value to it before exporting. But Nigeria’s Minister of Agriculture, Audu Ogbeh would have none of this. He is therefore asking the critics to support his initiative and start farming yams. Addressing journalists in Abuja on Monday, Ogbeh dismissed the criticisms of the policy, saying that the effort is in the best interest of the nation’s economy. “In fact, 30 per cent of the yams we produce get rotten because we don’t have facilities to preserve them,” Ogbeh started. According to him, “Ghana is a famous country for exportation of the commodity, but most of the yam they export is from us. “Why are you so cowardice? Why lay back by not trying anything because of some sentimental reasons that might be raised,” he fired back at critics.